One of the more important things I've found about Droning is having the right equipment for the right job. Working in a variety of different climates, altitudes, and client requirements, the importance to have a properly modded copter is paramount. Carbon fiber blades are too fast for high altitude situations. Polarized lenses don't like sea spray. These are the little nuggets of knowledge that turn a good shoot into a fantastic shoot, so when spec'ing out a shoot with me please be as detailed as possible to location, date, and type of footage wished captured. Lot's go into the prep to ensure that my little copters are fit for the job. The most versatile package for most shoots. Working with two tricked out DJI Phantoms sporting gimbal stabilized 2.7K GoPro cameras, these little beasts are slim enough to fly through a window, yet quick enough to chase a car. They are light, ready to fly in seconds, and come with 12 extra batteries to keep them up in the air all day. 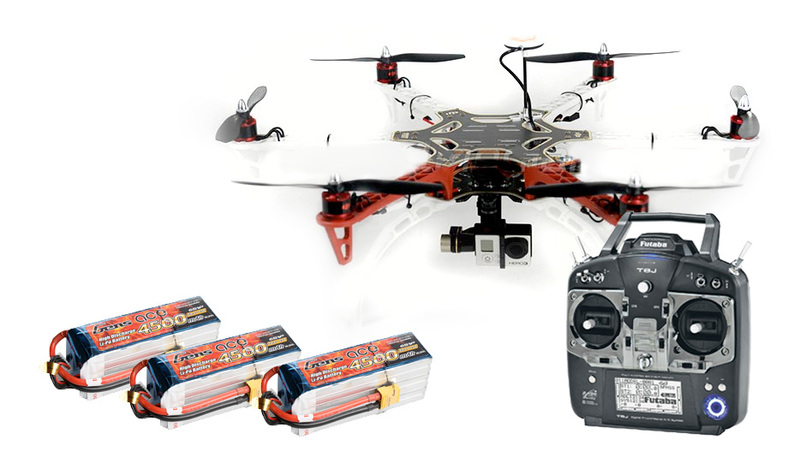 This is a specialized kit that comes in handy for long range projects that require a slightly more robust copter. The F550 is a 6 armed copter that has the benefit of extended flight, meaning that if you need to travel farther to a remote location this is the flyer to do so. Great for turbulent situations like waterfalls, canyons, and the city of Chicago.